Pairing fiction with nonfiction books is an excellent way to show children how different types of writing can easily be connected. If birds are a hot topic, here are two outstanding books that can be paired. One is Birds, written by Kevin Henkes and illustrated by Laura Dronzek and the other is Feathers Not Just for Flying, written by Melissa Stewart and illustrated by Sarah S. Brannen. In the fiction book, Birds, the young narrator talks about birds of all sizes, shapes, colors, and how they move. The text is spare but poetic, and Laura Dronzek’s illustrations are bright and colorful. A variety of birds can be found in the book and, with Dronzek’s illustrations, a few surprises are sure to capture the attention of young readers. 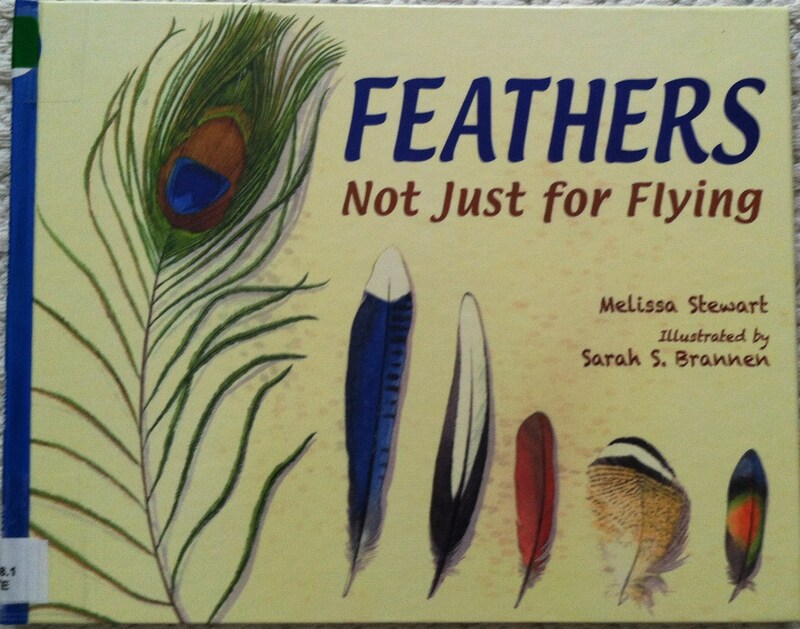 Pair this book with the nonfiction book, Feathers Not Just for Flying. Melissa Stewart has created an appealing book with two storylines. One has simple text that compares birds’ feathers to everyday objects. “Feathers can shade out sun like an umbrella …” The other has fascinating information about certain birds, the various shapes of their feathers, and how the feathers function. With Brannen’s watercolor illustrations presented in a scrapbook format and Stewart’s attention to scientific details, this book will win over readers. Book pairings can inspire discussions and motivate children to delve deeper into the subject matter. Try it. You’ll like it. At four o’clock each morning, birds convene outside our bedroom window and hold a tweet fest. I don’t know what they’re chirping about, but they have a lot to say at that hour. Maybe they’re planning their day. Maybe they’re gossiping about the events of the previous evening. Whatever they’re doing, it’s disturbing my beauty rest! I enjoy watching our fine feathered friends in the bird bath during the day. Some very lovely birds come to our exclusive spa. The way they interact with other birds is very enlightening. But why, oh why, do they have to be so noisy in the morning? If you’re a bird-lover, here are a few books to tweet about, and they won’t wake you up in the morning. 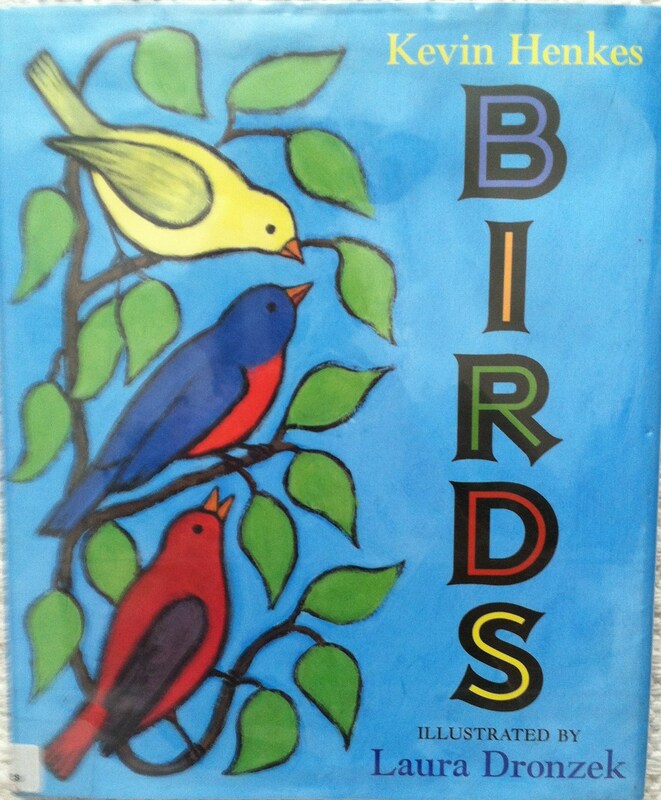 Birds, written by Kevin Henkes and illustrated by his wife, Laura Dronzek, is a very simple story. Using birds as the subject, the story and illustrations combine color and size concepts. The narrative includes elements of imagination and surprise, and it has a very satisfying ending. Dronzek’s illustrations are bright and colorful and will delight young children. 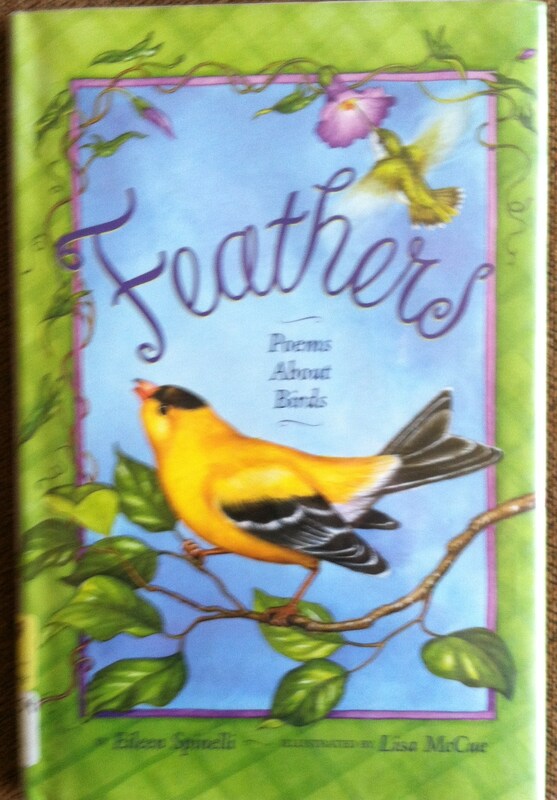 Feathers, a book written by Eileen Spinelli and illustrated by Lisa McCue, is poetry in flight. Spinelli cleverly introduces readers to a fascinating variety of birds by using different poetic forms. Back matter includes more information about each bird. McCue’s brightly colored illustrations are done in watercolor and acrylic. The birds are shown in their habitats and many pages include borders. 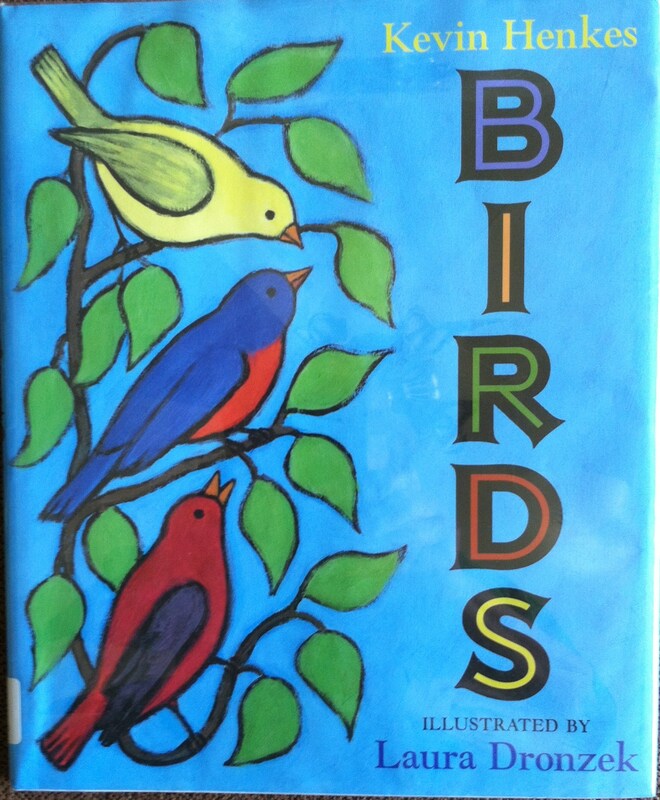 This is a perfect book for young bird-lovers. 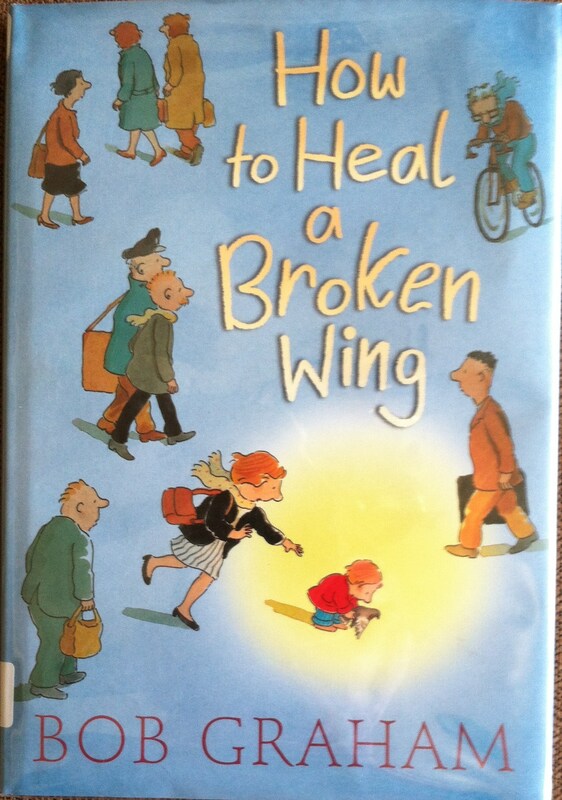 How to Heal a Broken Wing, written and illustrated by Bob Graham, is a sweet story of a little boy who rescues a bird with a broken wing. The text is spare, but the message is powerful. With time and hope, the family works together to help heal the bird’s wing. The illustrations, which are subdued at the beginning of the story, are done in pen, watercolor, and chalk. As the story progresses and the bird’s wing heals, the illustrations become more vibrant. This book lends itself to discussions of kindness and caring. Can you think of any other bird books to share?